Geeks over a certain age will recall that smartphones and PDAs didn’t originally have finger touch interfaces and instead of using a digit to control the device, a stylus was used to tap and poke the buttons on the screen. Partly this was a limitation of the screen size – the original Palm Pilot 1000 only had 160 x 160 pixels – and the touchscreen technology, which was resistive and needed pressure to register a touch. The stylus was perfect for this kind of interface as the narrow point could accurately and forcefully tap an individual pixel. Today’s smartphones use a capacitive technology which senses electrostatic fields and the need for a pointy objected has faded in favour of fat fingers. This doesn’t mean that the stylus has gone away but they certainly are a rarer. 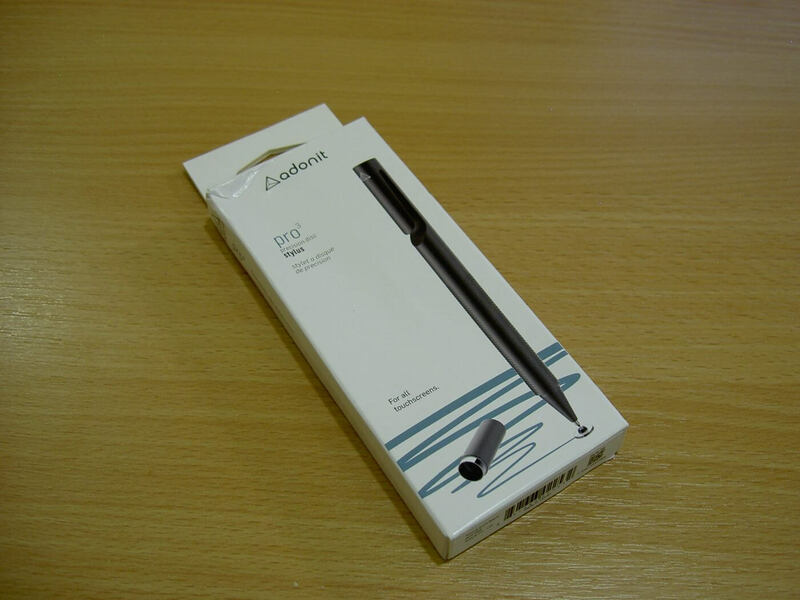 On my desk today is the Adonit Pro 3 precision stylus, which is the first quality capacitive stylus I’ve ever used. Yes, I’ve had a couple of those ones with the squidgy rubber tops, typically given away as freebies, but that’s like comparing a ballpoint with a fountain pen. The Pro 3 is a quality instrument. Let’s take a closer look. The Adonit Pro 3 comes in a simple card box and the stylus itself is a dark grey cylinder with a chunky cut-out for the pocket clip. Adonit call it black, but it’s definitely dark grey, but for something brighter, the stylus is available in silver, dark blue and rose gold. The body is all metal (aluminium) and weighs in at 18g. It’s pen size at 126 mm long and 8 mm diameter. There’s a little light texturing on the barrel where fingers rest. It’s stylish in an industrial kind of way. I like it. To protect the tip, there’s a stylus cap which is kept in place with magnets and when removed can be stored on the bottom of the pen. The cap can be a little wobbly but it never came off accidentally. Returning to the stylus, it’s a little different from styluses of the noughties. Instead of a point, there’s a pivoting small circular disk which flattens onto the surface of the tablet and smoothly glides over the glass. The Adonit web site and apps are very Apple-centric and I’m going to guess that you’ll probably need an iPad to get the most out of the Pro 3. I used the Pro 3 on a selection of Android and Windows touchscreen devices with a spectrum of success which varied from device to device. For me, the Pro 3 was most successful on a Pixel C, with the tablet responding positively to the vast majority of taps and draws. On a Nexus 9, it wasn’t quite as responsive, with the tablet sometimes failing to pick up the first touch in drawing apps. It worked surprisingly well with a Windows 8.1 laptop. What lets the Pro 3 down is nothing to do with the Pro 3, but rather the lack of palm rejection on most Android and Windows apps. 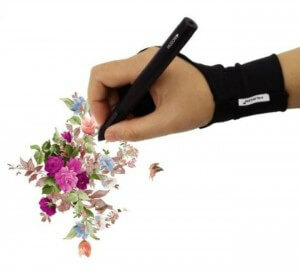 Simply, you can’t rest your hand on the tablet without disrupting the pen’s touch. As a result you have to hold your hand clear of the tablet screen. Apps on the iPad seem to have got this (more) sussed out. 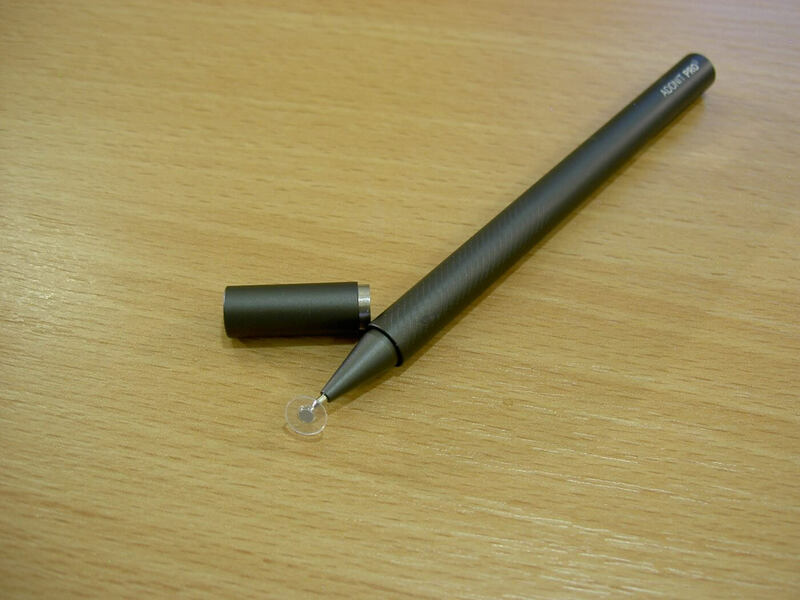 Regardless, a clear benefit of the Pro 3 is the precision provided by the tip and the clear disk. 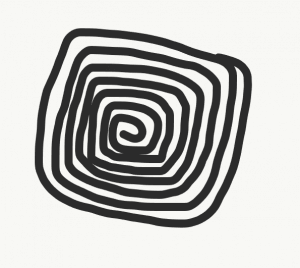 It becomes possible to draw two lines with a millimetre between them. That’s simply impossible with a finger no matter how dainty your digits. A soft-tip stylus would be no better. I’m no artist but here’s a little doodle to show what’s possible. If this looks like a nice stocking filler, the Adonit Pro 3 is currently GB£25.99 from Amazon.co.uk. US price is $29.99. Thanks to Adonit for providing the Pro 3 for review. I’m not a fan of capacitive touch screens as they are the user interface of a 5 year old, which is great for finger-painting but useless if you want to do anything precise, such as write normally or position a cursor between two letters. And multitouch is over-rated: I’d rather be able to place one point exactly than five blurry ones. 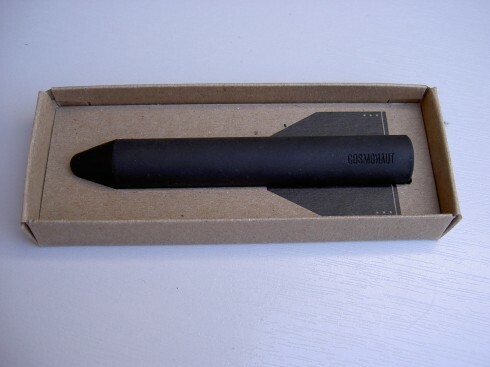 With this in mind I’m reviewing the Cosmonaut Capacitive Stylus for Touch Screens by Studio Neat. Originally a Kickstarter project, it’s now available for general sale direct from Studio Neat and Amazon for $25. The stylus is presented in small cardboard box and there’s no need to attack the packaging with scissors which is a welcome relief. On sliding open the box, the cardboard inner has rocket fins printed on it, giving the Cosmonaut a spaceship look. A nice touch. 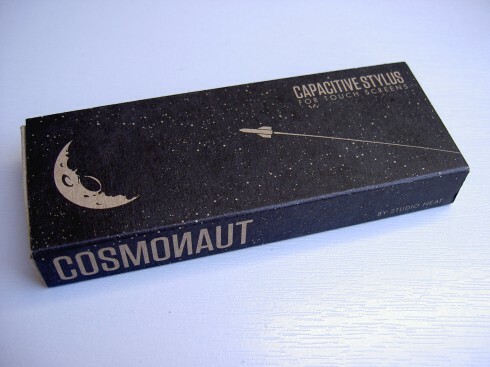 The Cosmonaut is a fat rubber covered pen, about the same thickness as a whiteboard marker. However, unlike a whiteboard marker, it’s got a little bit of weight to it. Feels good in the hand, though I have largish hands. In use, the Cosmonaut takes a little bit of getting used to; the tip is a slightly squidgy and you have to press down for the Cosmonaut to register the button press or the stroke. 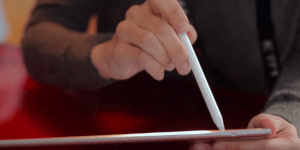 You can’t simply flick the stylus across the screen as you might with your finger. In some ways, this is a good thing as it prevents unwanted touches. 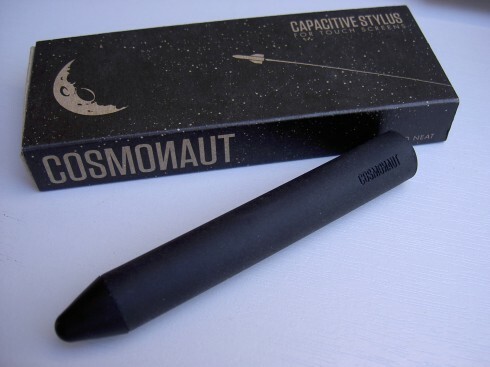 The Cosmonaut makes drawing apps much easier to use as the stylus mimics a pen or brush quite well. It’s also pretty handy for apps that have lots of closely spaced buttons. However writing like an adult is still out of the question, but the limitation is with the capacitative screen and the necessary fatness of the tip. Overall, the Cosmonaut is well-designed and well-built. It’s easy to hold and works as it’s supposed to. If you want a stylus for your tablet, this should be on your short-list but just don’t expect to return to the precision days of the PDA. I like to draw and doodle, so I recently brought a couple of drawing applications for my iPad including Paper by FiftyThree and Sketchbook MobileX and Draw Some. I quickly discovered that drawing with your finger maybe fun, but it is very imprecise. It is like doing finger-painting. 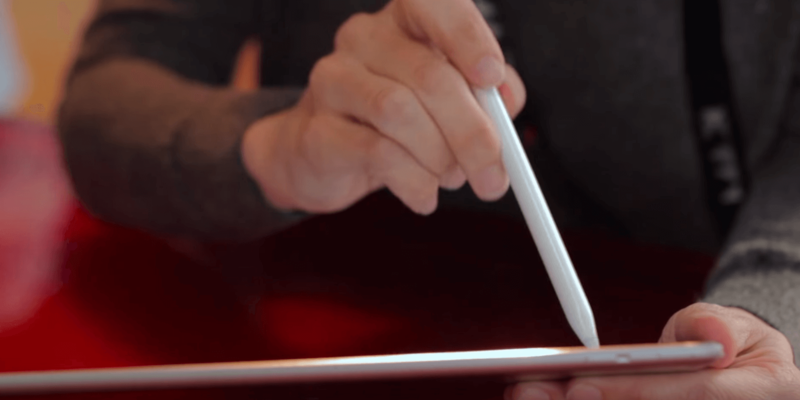 Despite what Steve Jobs said there are times when a stylus is the right tool for the job. Sunday I went down to the local Best Buy to pick up a stylus. They had several styli available priced from below $10.00 to above $30.00 for a Wacom stylus. One of the problems I ran into was there was no way to test the stylus since they were all in packages. I ended up picking up the Stylus for the iPad by Targus for $13.77. The Targus Stylus for the iPad is smaller and slightly thinner then a regular pen. It is about 4 3/8 inches long. It comes in black, blue and red. It was only available in black at the local Best Buy. Like a regular pen it has a clip. On the end is a small loop, where you could loop a chain on lanyard through. Unfortunately however no chain was provided. It has some weight to it so it feels you are holding a small pen. I did noticed that if I hold it the way I would a regular pen, the clasp sits in the space between my thumb and finger. After holding it for a while I noticed it started to dig in and it felt uncomfortable. Because of this I have to hold the stylus lower than I would a normal pen. The tip which you write or draw with is a small rubber nub. You don’t have to press hard for the stylus to work, but you do have to be consistent. 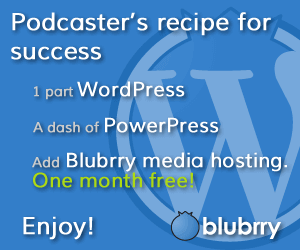 If you are not consistent it does have the tendency to skip occasionally. Finding a stylus you like is a very personal thing and can be a matter of trial and error. I am not sure the Targus Stylus for the iPad is the one for me because of the clip issue but it does get good reviews online by a lot of people so I do recommend trying it. 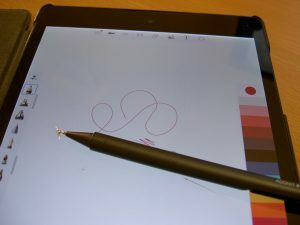 Have you found a stylus that you really like and how do you use it. Swedish company Penclic think that the pen is mightier than the sword mouse so Andy gets to grips with the Penclic Mouse to see if it’s true. A picture paints a thousand words and once you’ve seen the picture to the left, you’ll pretty much have grasped (sorry) the concept. 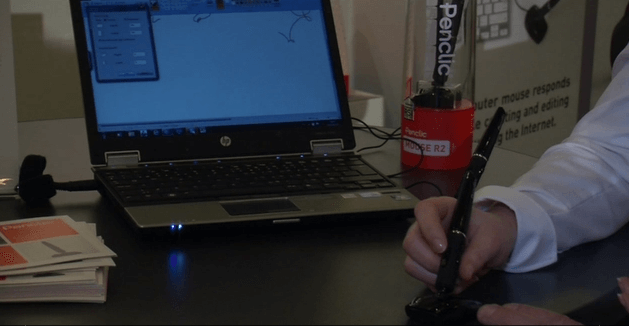 You hold the Penclic Mouse as you would hold a pen and the base moves with your hand. The Penclic Mouse is offered in two models, a wireless R2 and a corded D2, with all the features of a standard mouse, including left & right buttons and a scroll wheel. Available now from good retail stores at around $80 for the wireless version. The iPad was purposely designed to be used without a stylus, but that doesn’t stop some users from wanting one. It’s especially handy for things like editing a document, writing notes, or for drawing apps. Now eFun has introduced one especially made for the iPad. The new stylus comes with a lot of options as well. You can not only write, draw, and edit, but you can do so in multiple colors and line weights. The stylus, which debuted last week at the Consumer Electronics Show in Las Vegas, is available now for $99 from APenUSA. 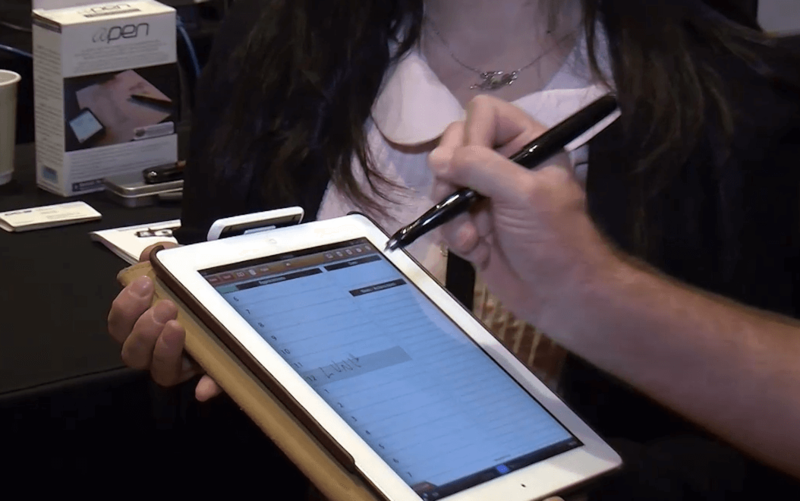 To see this cool new iPad pen in action you can check out the video posted below of a live demo from the CES show floor.